Iranian Commander of the Army Ground Force Brigadier General Ahmad Reza Pourdastan underlined the Iranian Armed Forces’ full preparedness and vigilance to confront and kill any enemy which threatens the country’s security and territorial integrity instantly. “Today, the fingers of the Armed Forces are on the trigger and the Bajij (volunteer) forces, the Islamic Revolution Guards Corps (IRGC), the Army and the Law Enforcement forces are now enjoying the highest level of might and readiness,” Pourdastan said, addressing people in the Northern province of Mazandaran on Friday evening. In relevant remarks in November, Supreme Leader of the Islamic Revolution Ayatollah Seyed Ali Khamenei warned Iran’s enemies to avoid even thinking of any aggressive move against the country, stressing that the Iranian Armed Forces are ready to give such a crushing response to any threat that aggressors will never forget. The Supreme Leader underlined that the increasing threats by the enemy show that the US-led western sanctions have not been effective and they have understood it themselves. Also in December, Commander of the Islamic Revolution Guards Corps (IRGC) Major General Mohammad Ali Jafari underlined that Iran will give a crushing response to any possible aggressor. 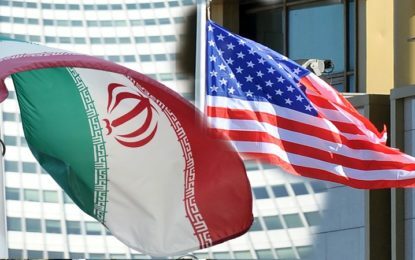 The IRGC commander went on to say that the US or Israeli officials are totally incapable of taking any military action against Iran, but at the same time affirmed that any “stupid measure” by the enemies would compel Iran to consider the options it has on the table. “Lots of options are on the table for Iran, and they (enemies) will receive crushing responses, one of which would be elimination of the Zionist regime,” he warned.